I decided to make my own hanger rod, including the anchors. In order to function properly, the rod is anchored to the back of the mirror. The back of the mirror was made to be easily removed should the mirror need replacing. That is how I arrived at the design of the anchors. As you can see in the photo below, they are u-shaped blocks. This shape allows the rod to be removed, and therefore allows the mirror back to be removed. 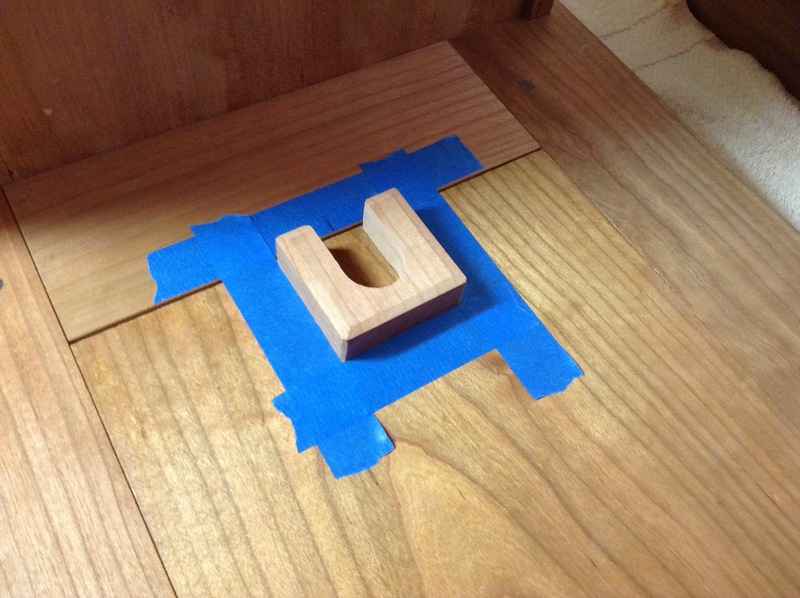 These are long grain to long grain glue joints, so there are no fasteners, just glue. I had pre-finished the back of the raised panel to make sure I covered the entire panel. Well, glue doesn’t stick to shellac that good. I had to removed some shellac before I could attach the anchor. 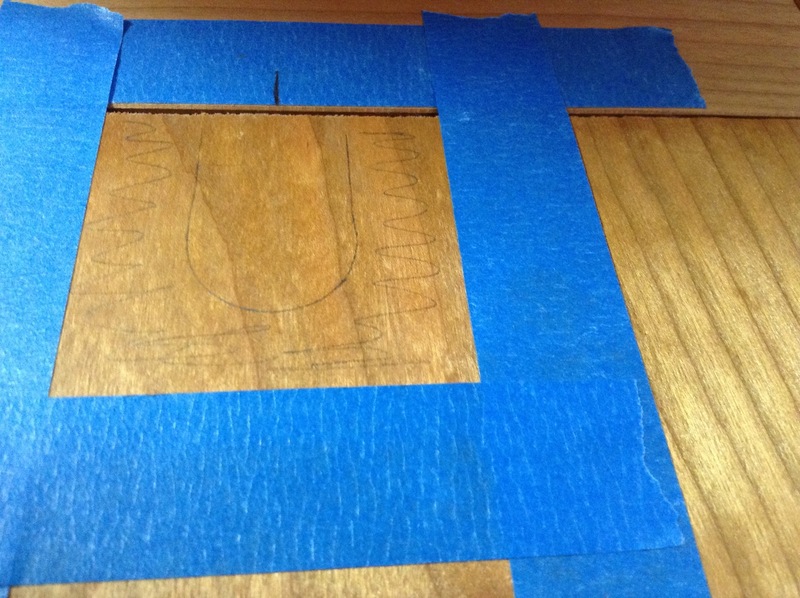 After measuring, I marked off an area to remove some shellac…just enough for proper glue adhesion. I applied a small amount of alcohol and carefully wiped the area clean until I reached bare wood. I applied the glue and some clamping pressure. Then I attached the other anchor to the back of the mirror panel. 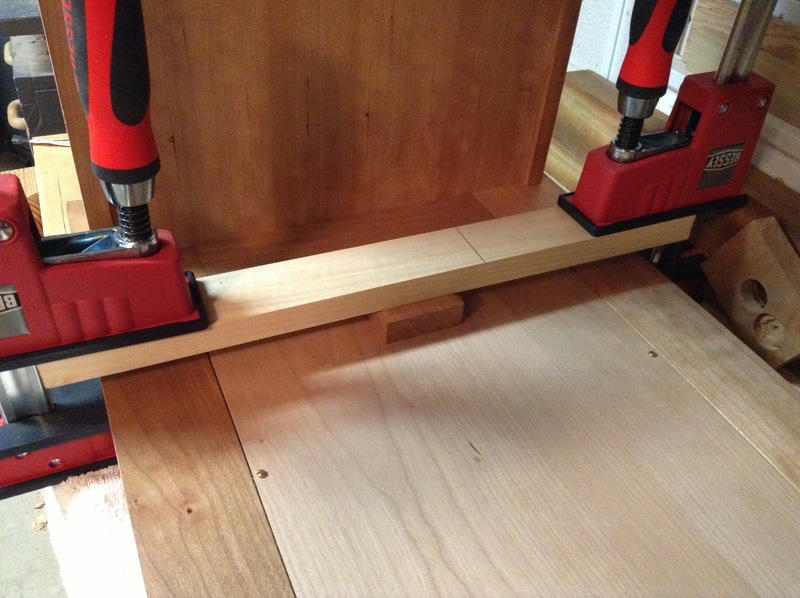 I cut a 1″ cherry dowel to length and dropped into place. 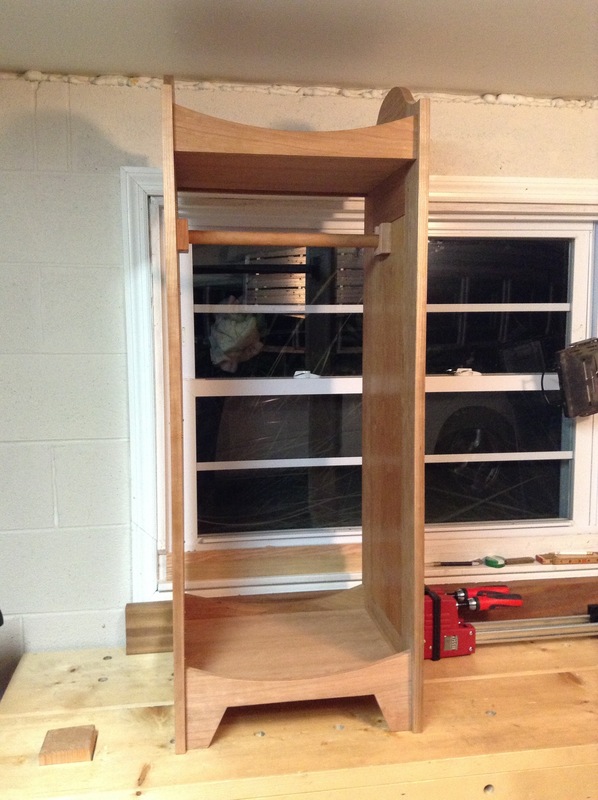 This entry was posted in Chiffonier, furniture, hand tools, VCF, woodworking and tagged cherry, chiffonier, hand tools, hanger rod by villagecustomfurniture. Bookmark the permalink.